While the Allies largely relied on mass production to help them win World War II, Germany put a great deal of their limited resources into new technologies and wonder weapons. 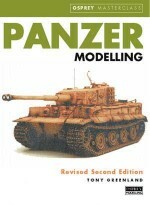 In addition to these tangible assets, which were used with varying degrees of success, the drawing boards of Germany were littered with dozens of advanced designs that never reached the prototype or production stages. 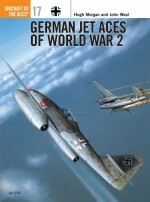 Many of these operational and paper projects advanced the pace and influenced the direction of aircraft development in the decades following World War II, with many of the German engineers responsible for these innovations seamlessly continuing their roles in the United States and the USSR. 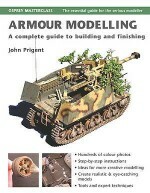 Modellers have had a long fascination for the Luftwaffe's jet arsenal and secret weapons of fact and fiction and this new Osprey Masterclass will explore the Luftwaffe jets and rocket planes that saw service at the end of World War II. 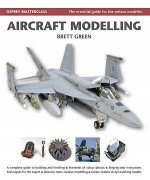 Brett Green is the editor of HyperScale (www.HyperScale.com), an online model magazine established in 1998, and a highly respected aviation modeller. 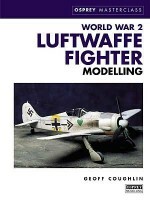 He has published two books on the colours and markings of Luftwaffe aircraft: Augsburg's Last Eagles, on the late-war Messerschmitt Bf 109, and Stormbird Colors on the Me 262. 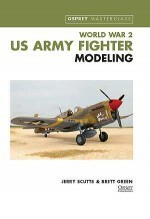 For Osprey Publishing he has written Modelling 2: Modelling the Messerschmitt Bf 110 and Modelling 11: Modelling the P-47 Thunderbolt, and has co-written World War 2 US Army Fighter Modeling in the Masterclass series. Brett lives in Sydney, Australia, with his wife and two children.